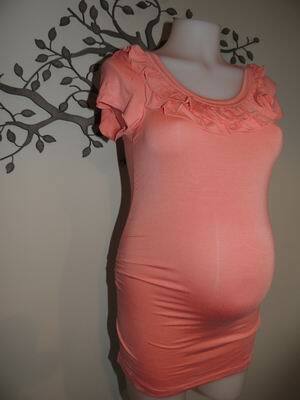 A lovely soft stretchy maternity top with side rouching and a flattering ruffle frill neckline. The top has a round neckline and short sleeves. Perfect to wearing after pregnancy as well. 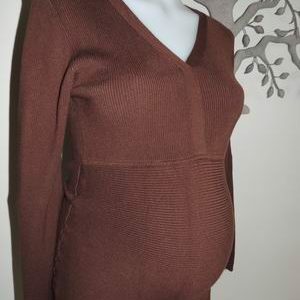 The top is new with tags, by Ninth Moon Maternity. Be the first to review “NEW Coral Round Neck Maternity Tee with Frill Neckline” Click here to cancel reply.